The majority of the population of Bali is Hindu (about 90%). 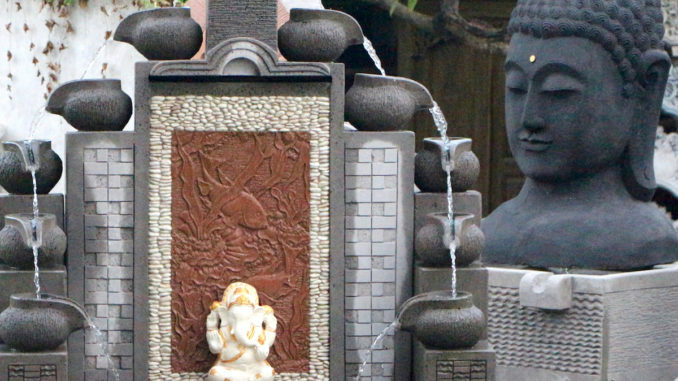 As such, as you drive about Bali you can see personal Hindu temples at virtually every private home and many businesses. 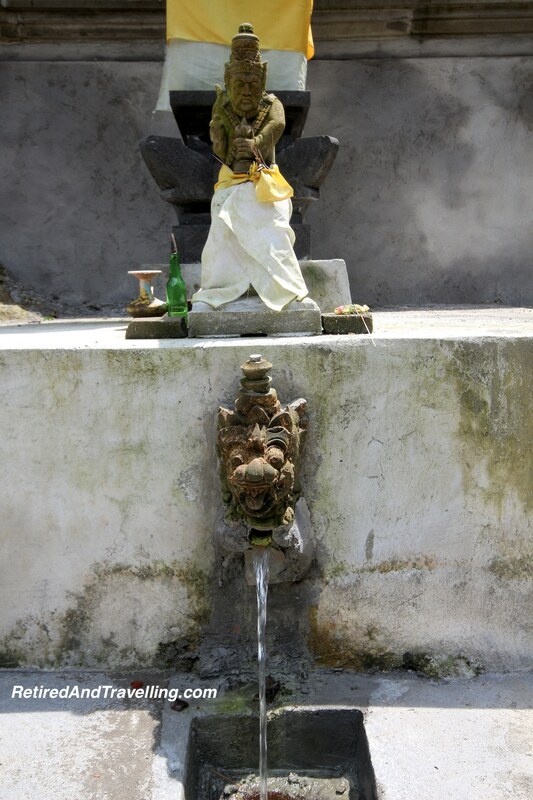 A Balinese Hindu temple is a “Pura”. 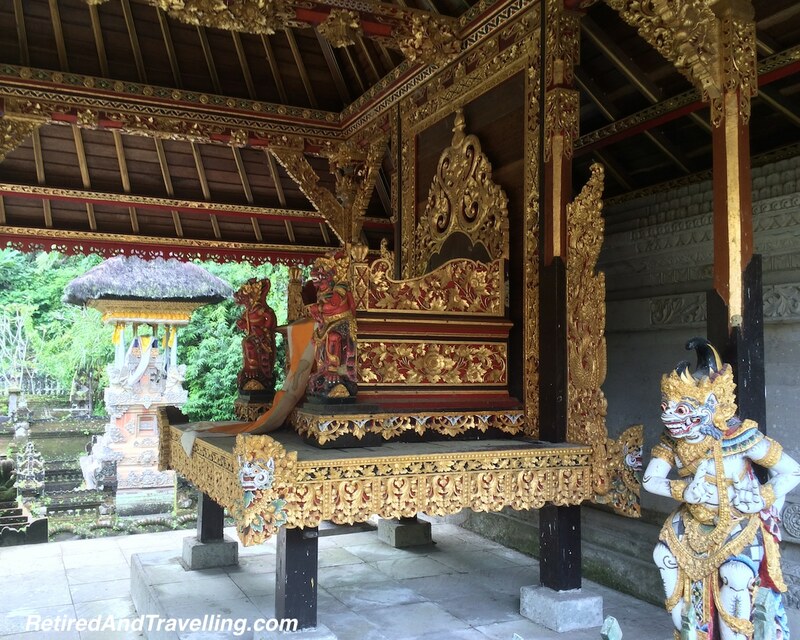 During our week long visit to Bali, everywhere we looked we saw the temples of Bali. We found the temples of Bali to be interesting and some to be artistic, but much less decorative than many of the temples we would see when we visited Thailand. As our advance travel scout, our son Nick had been travelling in Cambodia before he joined us in Bali and he kept talking about how awesome he found Angor Wat to be. His pictures provided one view of the famous Cambodia temple. We were interested to see a scale model of Angor Wat when we visited the Palace in Bangkok. 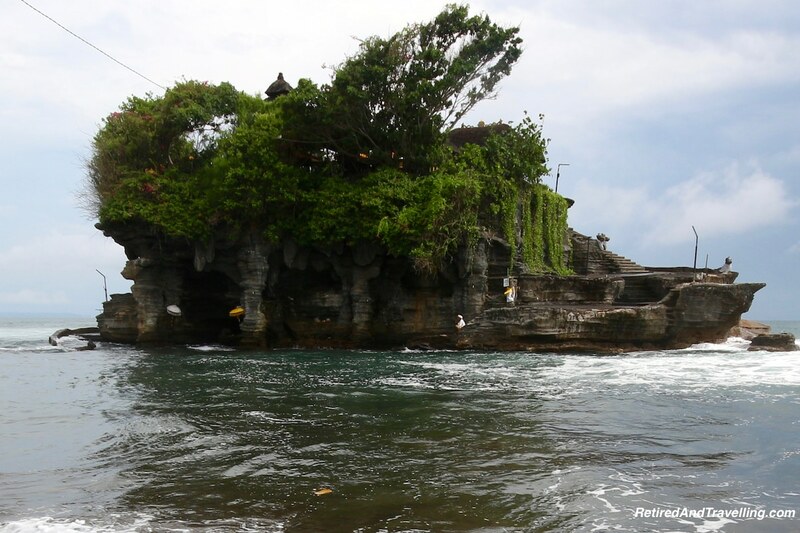 There are several well known temples of Bali that are on most visitors list. We managed to visit a few of them as we were touring about. Many of these temples have been turned mostly into tourist sites, with limited or no hours when the temples are actually used for worship. But there were clear boundaries that were not to be crossed! In general, there was a dress code enforced when you visited the temple sites, whether or not the actual temple was open for worship. The key requirement seemed to be that the knees were covered. If you were wearing long pants or a long skirt, you would normally be ok. 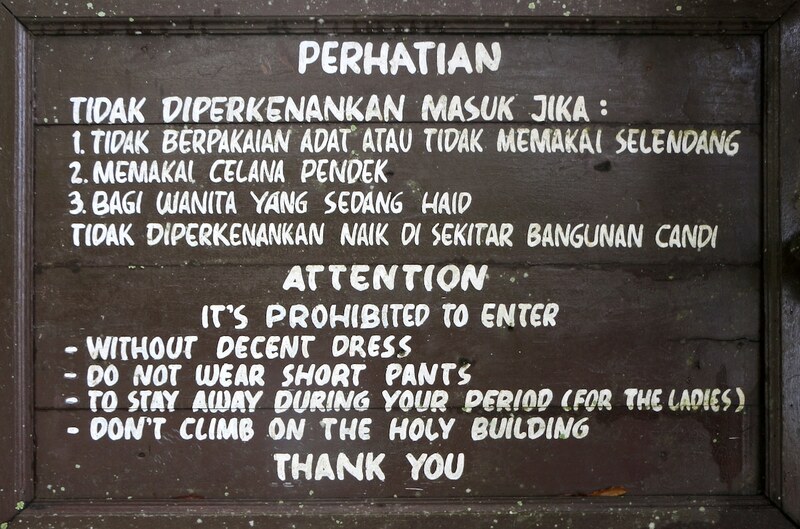 Otherwise, men and women are given a sarong with your admission ticket and expected to wear it until you exit. We carried our own sarongs if we remembered. 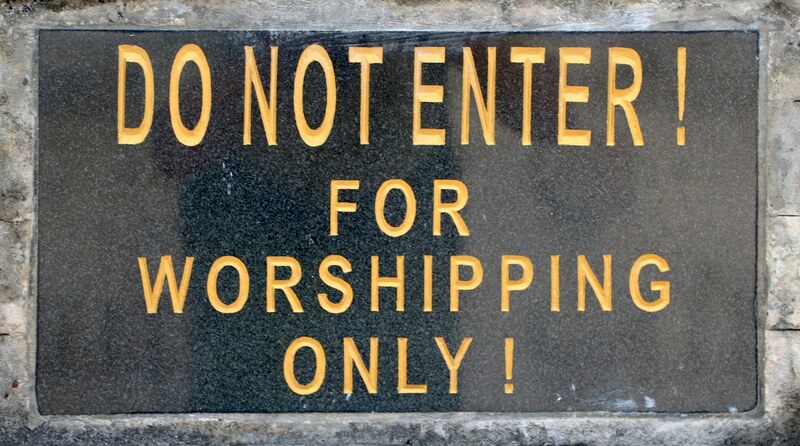 Some of the temples had even more stringent entry requirements! 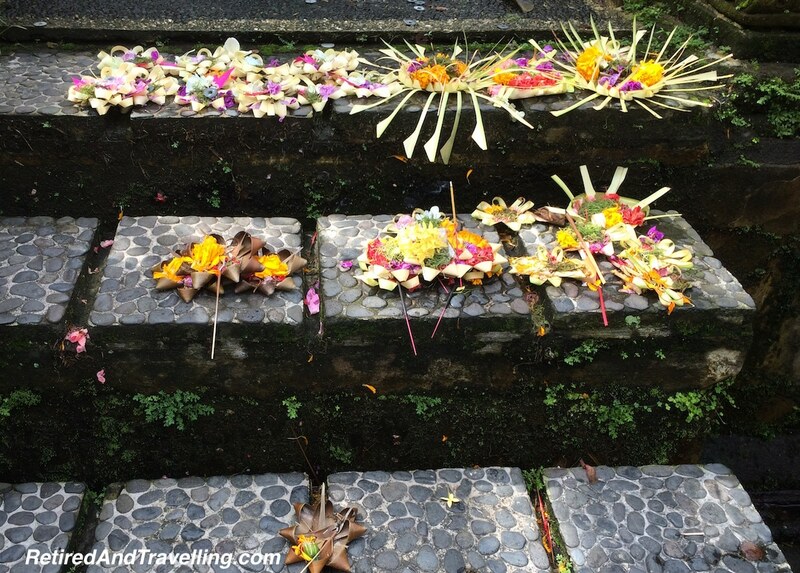 Everywhere we went in Bali, we would find the small offerings on the ground. There were large offerings at temples that were varied and colourful. The first of the temples of Bali we visited from our home base on Jimbaran Bay was at the bottom of the Uluwatu peninsula. 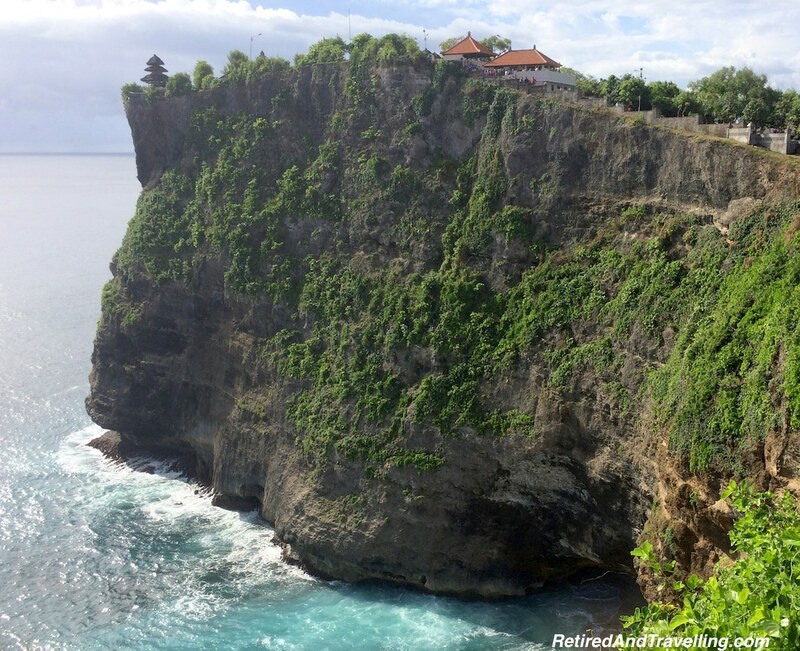 The Uluwatu temple was on a very large site with two long walkways along the water’s edge that gave you good views of the temple perched out on the high ledge. The actual temple was not open when we visited. The water crashed on the shore far below this site offering a great sea view. We could see caves in cliffs below the temple that had been opened from the pounding surf. If you stay for sunset at the Uluwatu temple site, you can watch the traditional Balinese Kecak and Fire Dance. However, if you stay for sunset you will be fighting with the very large crowds that start to show up about an hour before sunset. The other thing to watch for at this site are the monkeys roaming freely about some of the main paths. They will sneak up on you and try to steal your sunglasses or anything else that is loose. While there are attendants watching to distract the monkeys, if you are not alert you will get jumped! 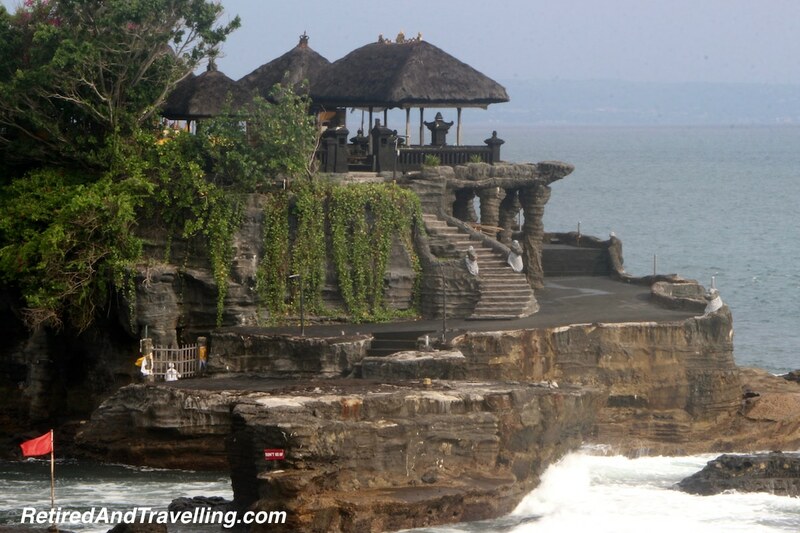 The second of the famous temples of Bali that we visited was Pura Tanah Lot. 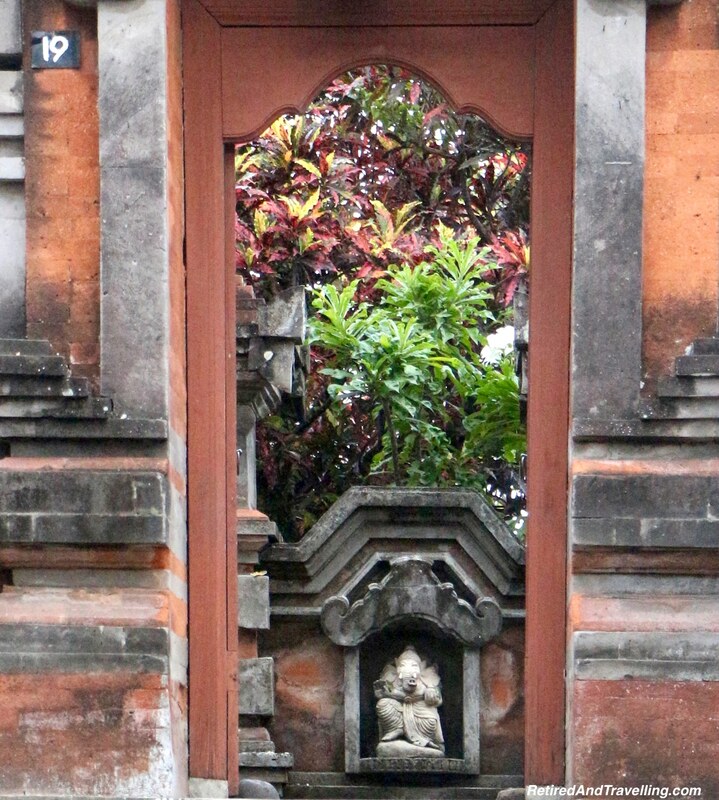 Exploring around the Canggu area, we found this temple on a rainy day when most tourists had stayed away. I would suggest that you check the tide times before heading to this site. If you show up at low tide, you can walk right out to the actual temple in the sea. Unfortunately the day we visited we were working around the rain and it was high tide. 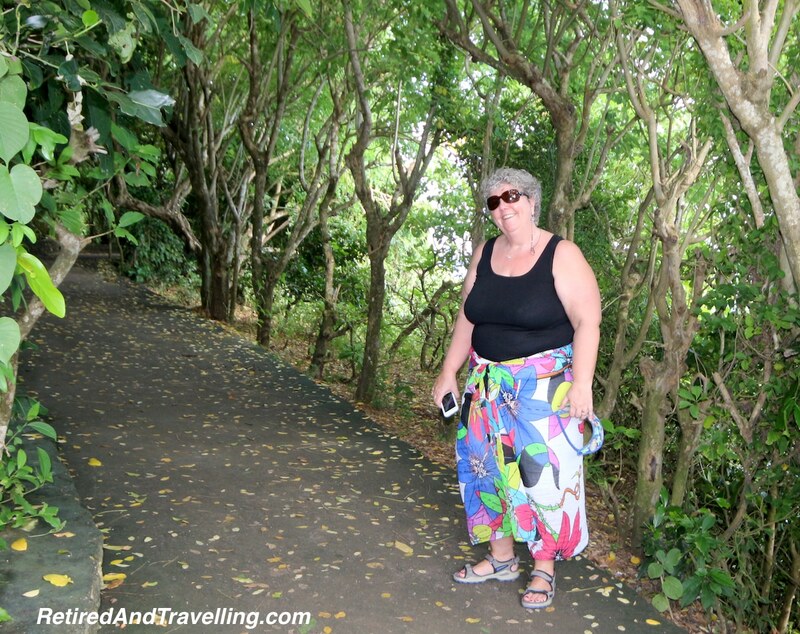 We were able to walk along the paths and get a great view of the temple in the sea and some great water views. 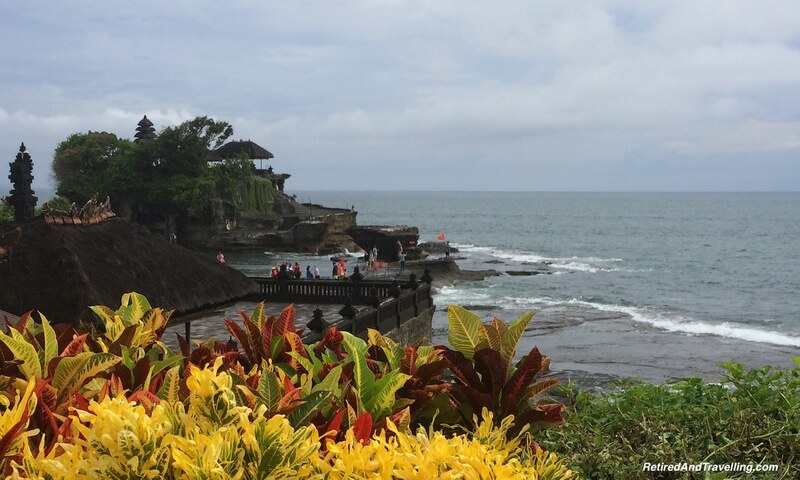 If you head up the west coast of Bali, don’t miss a visit to the surfing beaches of Canggu and the Tanah Lot Temple. 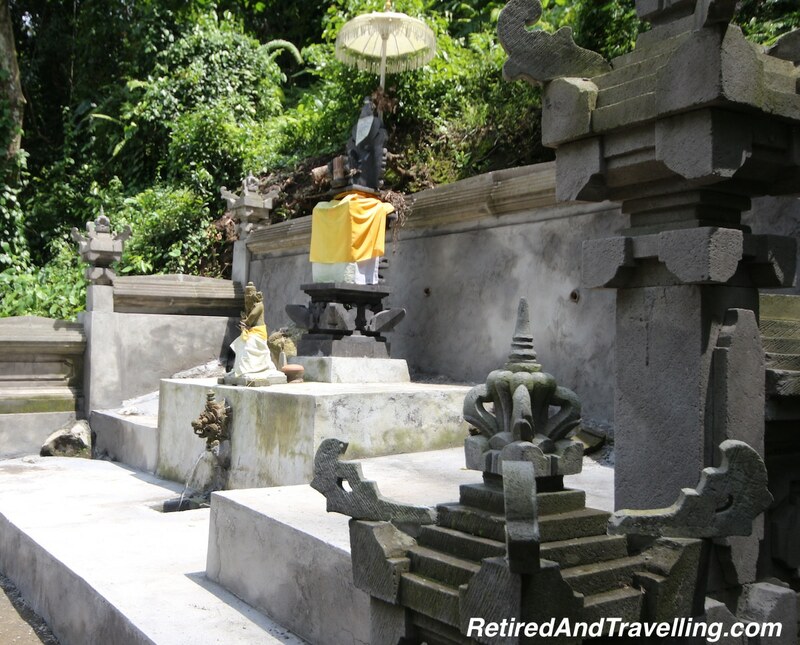 There are a number of temples in Ubud, some of them quite busy tourist attractions. On our day trip to Ubud, our driver for the day picked the Gunung Kawi Sebatu Temple for us to visit. This was a much less touristy spot and we were able to spend some time walking around this site. As with many of the other temples, this claimed to be a source of holy water. The main temple was closed when we visited but it was a fully operational temple. The site was quite beautiful and we spent over an hour slowly taking in the artistry. When you are finished walking around, you can sit by the koi pond and buy a bag of fish food. 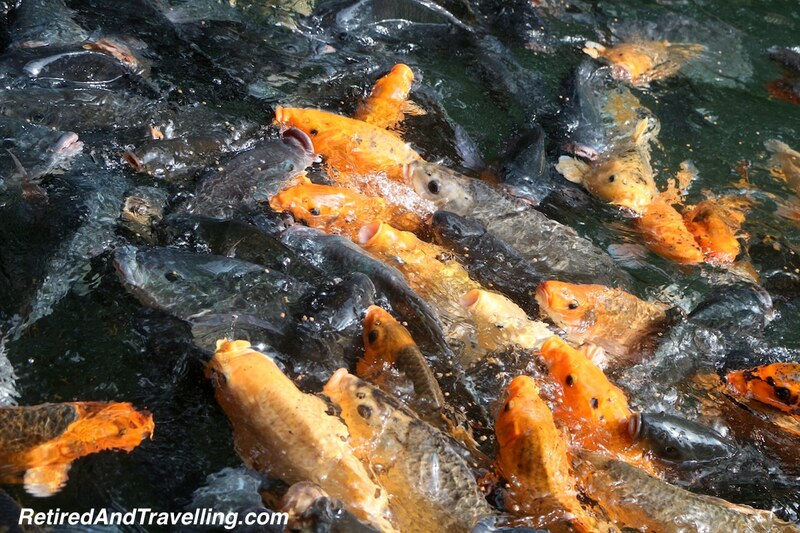 The koi are large and aggressive so you will get a show as you throw the food in at different spots and the koi race to get there first. 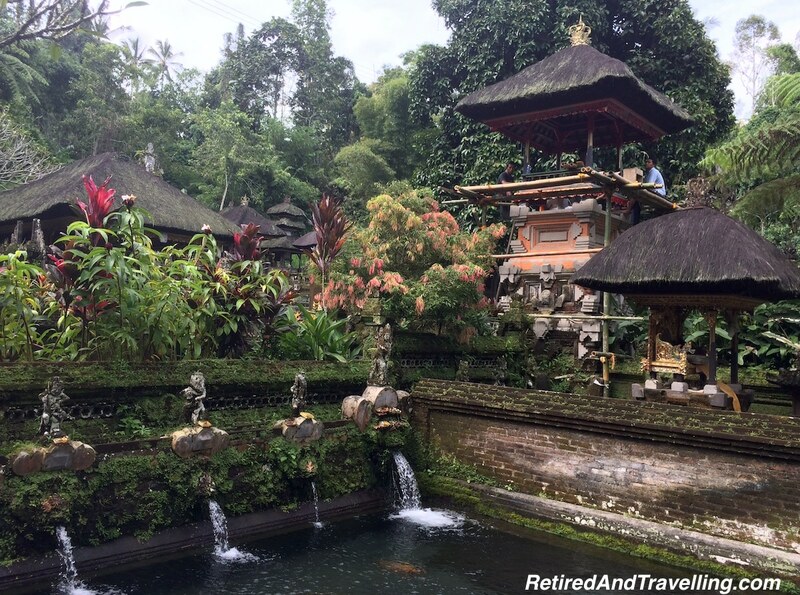 If you want a larger and quieter temple when you visit Ubud, you should definitely try the Gunung Kawi Sebatu Temple. 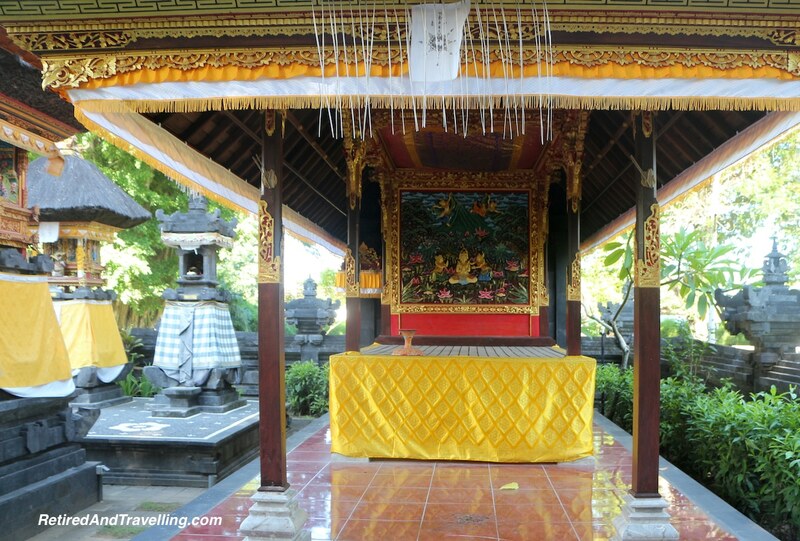 While many of the temples are large and ornate, you can find the local temples of Bali almost anywhere. When we went in search of the “secret” Tibumana waterfall, we finally were able to locate it by the name of the temple on the same site, the Melukat Temple. Climbing down the 150 stairs, one path took you to the waterfall and the other took you to the temple. This was a temple for worship by the locals and was their source of holy water. 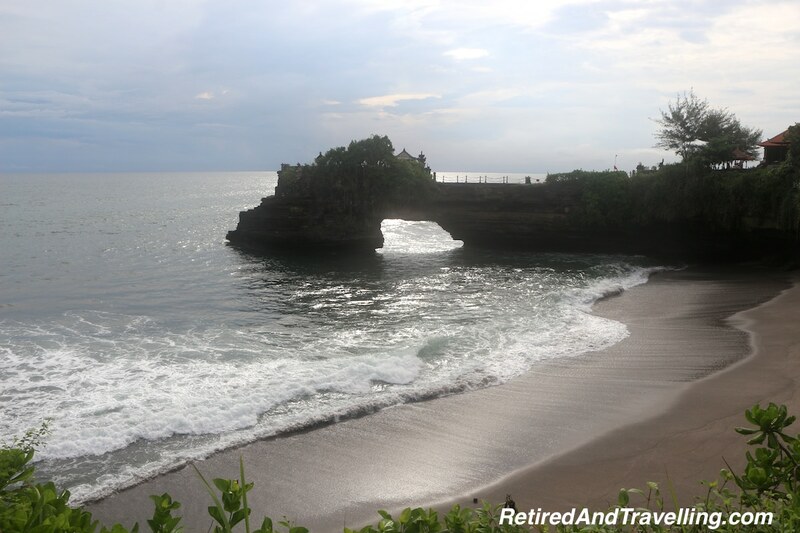 Staying at the Intercontinental Bali on Jimbaran Bay provided us with a great home base and a lovely resort. There were all of the expected amenities spread over the large site. 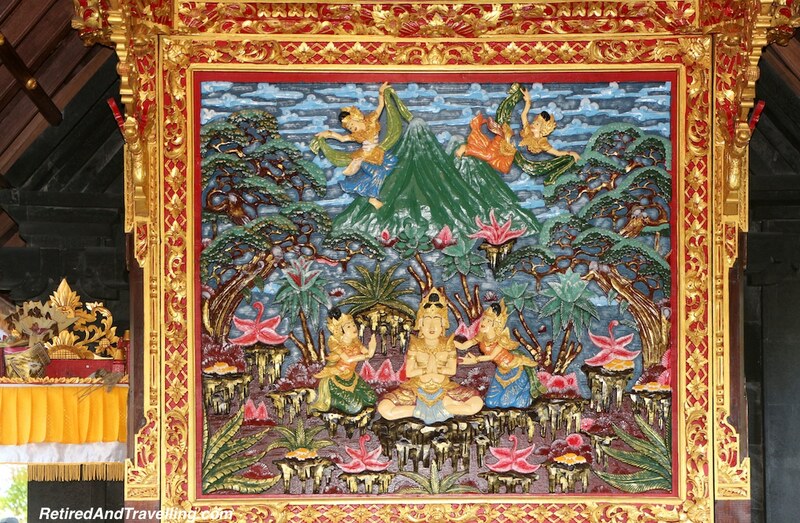 The hotel was decorated in traditional Balinese style and you could see religious decorations in every nook and cranny. 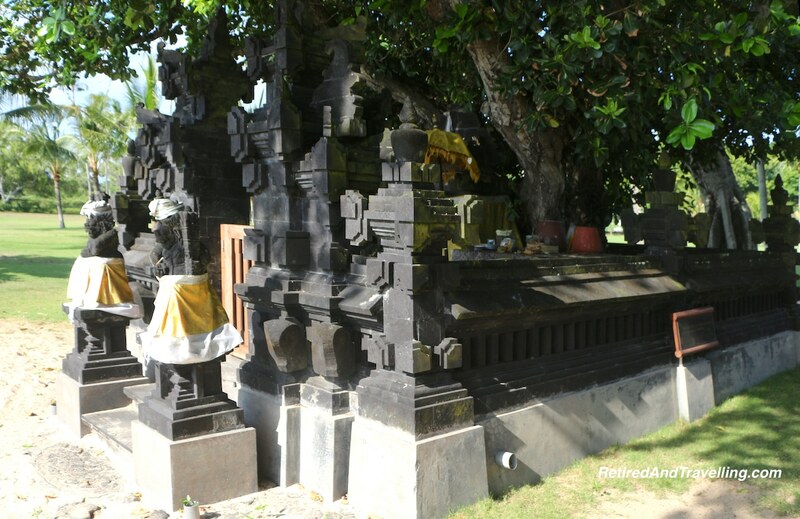 If you wandered about the site however you would find two private temples of Bali. The temples could be used by hotel staff or guests for worship. Or you could admire the beauty and intricacy of the designs. One of the temples was for the grounds. The other was a beach / tree temple. 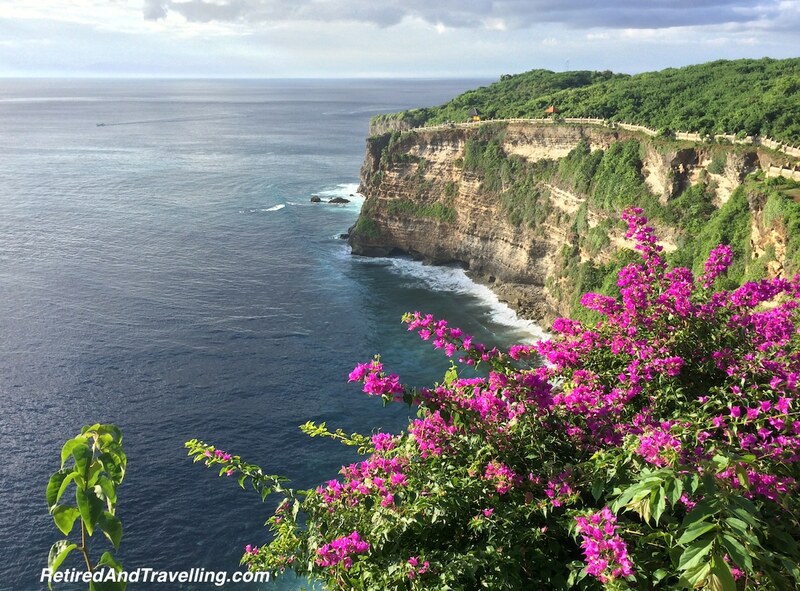 If you visit Bali, you may want to time it around one of the festivals. The full moon or ‘Purnama’ festival is celebrated on the Intercontinental Bali resort with a full moon parade that winds its way around the resort from the lobby to the resort’s temple. 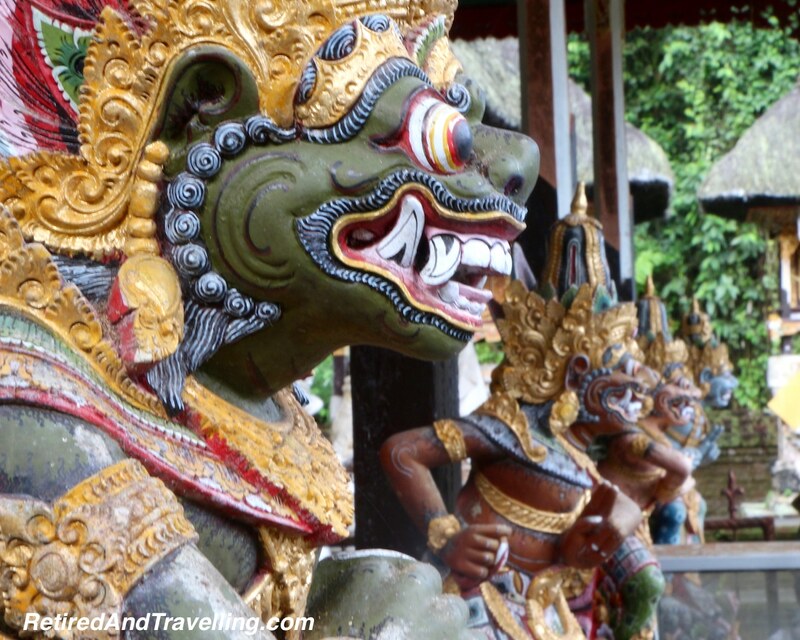 When you visit Indonesia, you will definitely want to visit the temples of Bali. 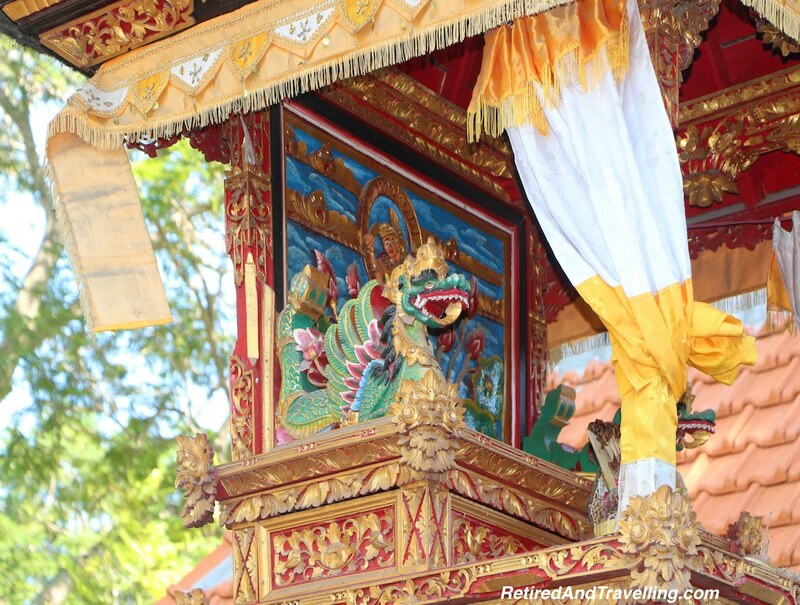 You can choose to visit the larger iconic temples that are in all of the Bali photos. You can admire the more personal temples at private homes as you travel about or explore and find temples on most business properties. We were delighted to find the temples on our hotel site. 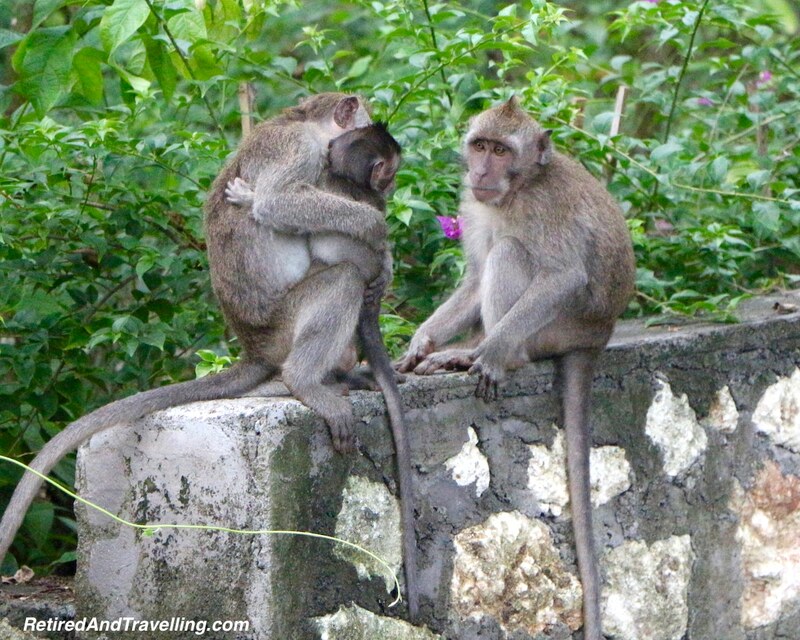 And if you get off the beaten path, you can find the temples of Bali that serve the locals. 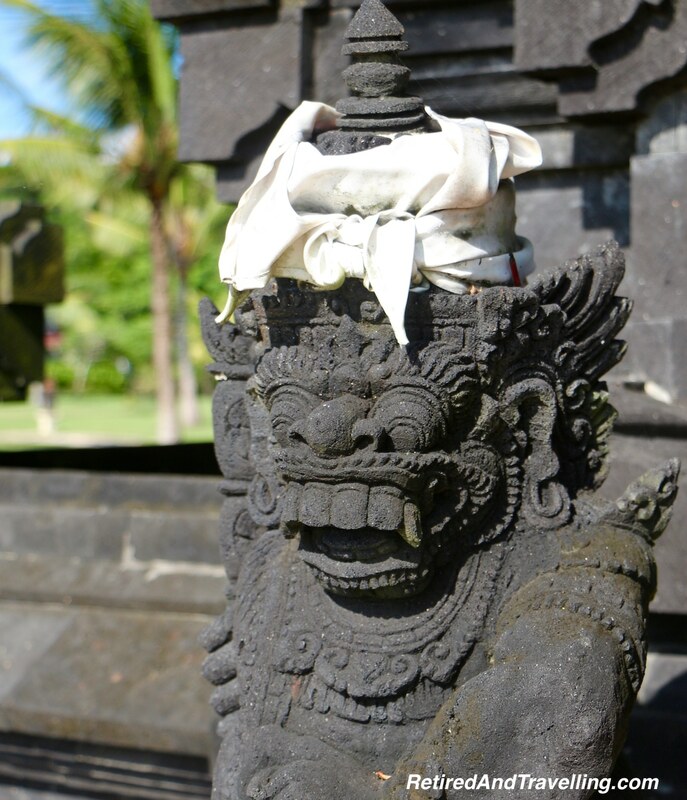 Did you visit the temples of Bali? Which was your favourite temple? Which one did you find too touristy to suggest passing on?